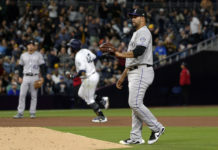 The result in the finale against the Toronto Blue Jays strongly paralleled the way the entire month of June went for the Rockies. The team had relatively strong starting pitching but was unable to complete the comeback. Even though they finished below .500 in June (13-14), which has historically been a tough for the club, it is still the best finish for the team under Walt Weiss. The team’s best player and arguably the best in the majors felt like his club left some runs on the table. 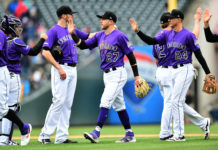 Arenado believes this team can still be a second-half team, but it’s going to have to start when starters like Tyler Chatwood and Chris Rusin get back in the rotation and Jake McGee and Adam Ottovino return to the back of the bullpen. The bullpen gave up too many runs this month and didn’t capitalize on five save opportunities. While the Rockies only mustered one run against Sanchez, they got to closer Roberto Osuna by quickly scoring two runs to cut the deficit to 5-3. Down two runs with the bases loaded and two outs, Cristhian Adames struck out on a questionable check swing. Arenado could be seen irately yelling in the on deck circle, arguing the home plate umpire didn’t check with the third base umpire. 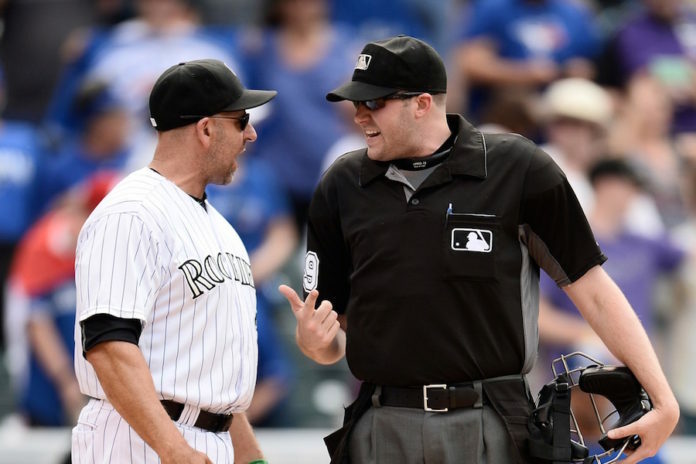 Arenado may have said that because Toronto thwarted a bases-loaded situation in the seventh as well, and Colorado only scored one run while starter Tyler Anderson was pitching. 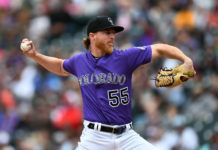 Anderson keeps giving this team a chance to win but is going through the same struggles that Jon Gray went through by having to wait awhile to get his first win. Anderson said that he doesn’t directly talk to Gray about getting his first win but he shares the same mentality of trusting the process. That is exactly the position Anderson has put his team in in every one of his four starts. He pitched six innings allowing three runs (two earned) with six strikeouts. He became the first Rockie to pitch at least five innings and allow two or fewer earned runs in his first four career starts. Maybe his most impressive stat of the day was throwing 106 pitches, 78 of them strikes. Anderson is going to be a big reason this team can get to the next goal of reaching .500. Weiss sees more belief in his clubhouse that they can be a good team than at any other point this season. This stems from better pitching presence from his whole staff and the team’s ability to stand up to adversity. Weiss said that the .500 milestone is important, especially with the way the team has been grinding for wins, but the overall goal is much bigger.